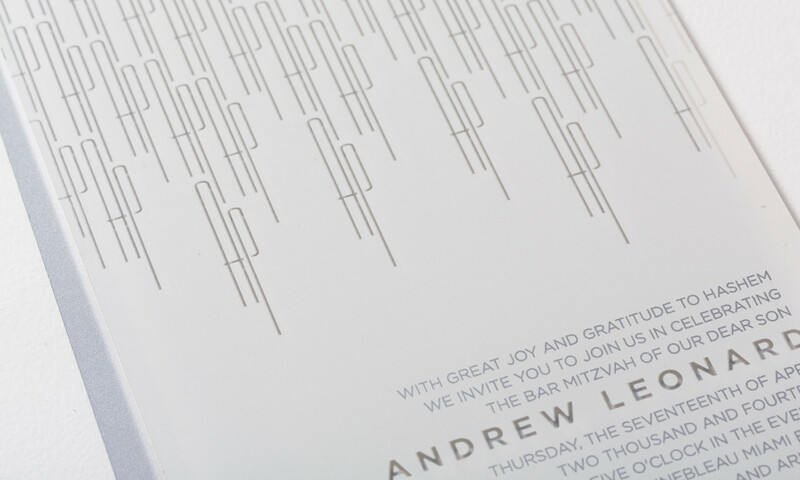 This unique set has 2 main pieces: an acrylic ceremony card and a silver plastic party card. 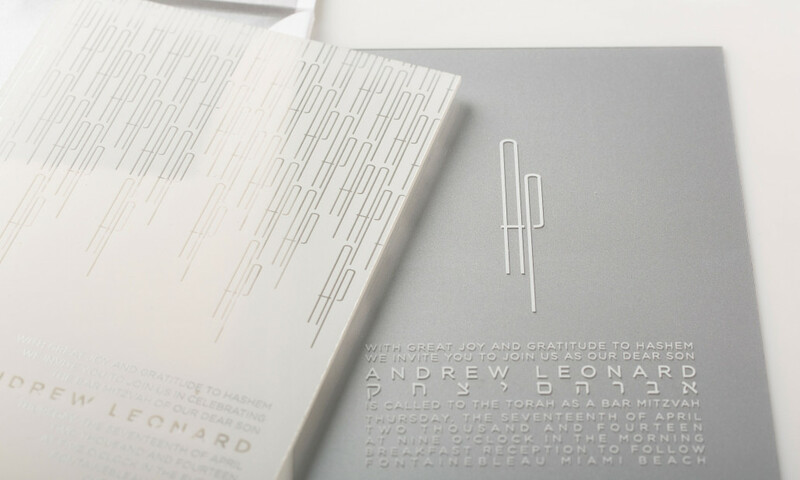 The ‘AP’ monogram created a clear pattern on the acrylic piece, and was then repeated as the focal point on the party card. They were sent together in a heavy weight white envelope lined with silver paper.